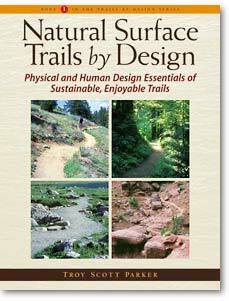 This groundbreaking new book captures much of the detailed knowledge of skilled trail designers. It presents eleven generative concepts as the foundation for a concise process that explains, relates, and predicts what actually happens on all natural surface trails. The concepts cover the essential physical and human forces and relationships that govern trailshow we perceive nature, how trails make us feel, how trail use changes trails, how soils and trail materials behave, and how water, drainage, and erosion act. The real power of the concepts, however, is in their interaction. Together, they create a powerful, flexible system of thought for generating sustainable, enjoyable, and appropriate natural surface trails. Enable you to work with all trailshiking, horse, mountain biking, wheelchair, ATV, motorcycle, or ORVas instances of the same eleven concepts. Generate appropriate local solutions for any context. Work with new and local situations, materials, and techniques. Focus on the "whys" of situations instead of just "how" or "what." Relate dozens of trail aspects that previously seemed separate or weren't even apparent to you. Predict future change, especially changes caused by trail use and erosion. Weave trails into sites, use natural features to improve sustainability and visitor enjoyment, and help engender respect, appreciation, and stewardship for natural resources. Create a design language to concisely communicate complex concepts and facilitate learning and teaching. They form a quick, effective trail evaluation system. Plus they're easy for both novices and experts to learn and use. You'll never look at trails the same way again.